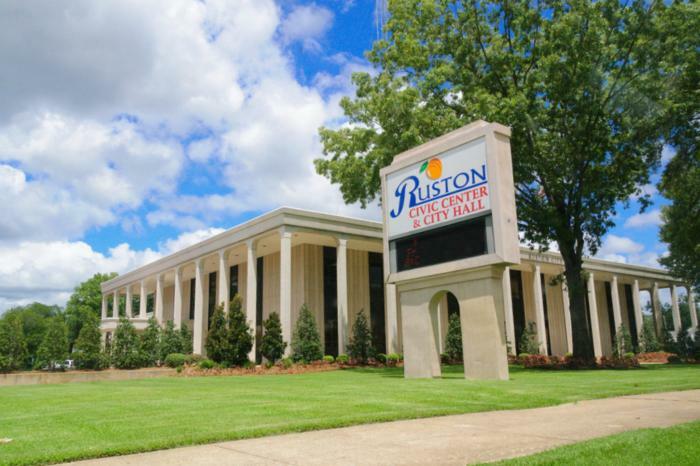 The Ruston Civic Center is a multifunction facility perfect for trade shows, banquets, weddings, receptions and cultural events. They can accommodate a variety of event configurations with their large conference hall, which can be divided into two separate halls. The kitchen, with direct access to the loading bay, is convenient for outside caterers. The concession area, strategically located in the entrance room, is also available for rental. Experienced staff is available to help plan event set-up.